The summer months can be very hectic—school is out, kids are at camp, family vacations are underway, and the 4th of July holiday has already past. So if you forgot to register for the AHCA/NCAL Convention & Expo, don’t worry because you still have time! 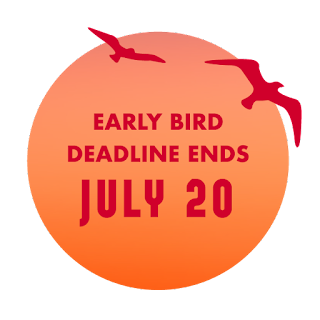 Register today to take advantage of the early bird discounted rate. But don’t wait any longer because the deadline is July 20. The AHCA/NCAL Convention & Expo is designed to help you succeed. With unique programming that will specifically address your toughest challenges, you will walk away with the strategies and solutions you need to SAVE you money and improve the quality of care you provide. Join AHCA/NCAL and thousands of your long term and post-acute colleagues, October, 7-10, in sunny San Diego. We hope to see you there!